Infant asthma is a type of breathing problem that happens to young children all over the world. It involves inflammation of the airways of the lungs after a reaction to one of many substances. Infant asthma can happen to any child. It is hard to know if your baby has breathing problems, since babies can't tell you how they are feeling. As a parent, there a few signs and symptoms you can look for. This childhood problem can be treated and managed with the help of your doctor. Every situation is different just like every child is different. But the right treatment can protect your child. In babies, infant asthma is very subtle and easily missed. Younger children typically have different and more mild symptoms than older ones. Any allergens in your home can trigger a reaction in your child. You should take note of any breathing problems that your young one has, especially at night. Many infants develop symptoms before the one year milestone. The key point of any respiratory disease is that an infant’s lungs are still developing. Asthma, which is a chronic breathing problem, can affect the lungs before they have a chance to function properly. If not diagnosed and treated correctly, asthma can permanently damage the delicate tissue of an infant’s lungs and cause future problems. Therefore it is essential to bring a child to the doctor as soon as any breathing problem surfaces. Although your pediatrician will take a medical history and physical exam, he or she will greatly rely on your description of the symptoms. These signs are subtle and may not appear in the office. Because their lungs are still developing, babies with asthma can have one or more of the classic asthma symptoms. Your baby may also appear to have difficulty breathing or may look simply look uncomfortable. A symptom that is harder to see in infants is tightness in their chest. When lungs become filled with mucus and inflamed, it causes a feeling of not being able to breathe. This may translate into poor feeding and failure to grow. But you have to be careful when it comes to looking at these symptoms in babies. There are different childhood diseases that cause similar symptoms to asthma. Just because your infant have one of these symptoms does not mean he or she have asthma. For example, bronchiolitis, or inflammation of the lungs, also causes wheezing in babies. This can be mistaken for the wheezing that is frequently seen in asthma. To be safe, you should go to the doctor if your baby has any breathing problem for no reason. Your doctor is trained in this area and can tell you if it is truly asthma. Don’t be afraid to be wrong. As a parent you are an advocate for child. It is very important that parents are aware of this chronic respiratory illness. Although this condition may show differently in babies, there are treatment plans that can them to breathe more comfortably. Infant asthma differ from child to child and no two asthma attacks are alike. Young children with infant asthma usually have symptoms that are not similar to older children. Although asthma is best known to develop in children ages 5-12, infants can show signs under the age of one. While some symptoms of infant asthma are mild, others are more severe. It is important to know the difference. You should know so you can find the best treatment for your child. Your baby may develop a cough, but not all coughs mean your infant has asthma. If your infant has a chronic cough, call your physician. A chronic cough is one that lasts around three weeks or longer. Also, if your infant constantly coughs at nighttime, it may be a concern. A cough may indicate an infection. About 30% of children with wheezing have respiratory infection that affects breathing. Only your pediatrician can tell the difference. This is a classic symptom. Infant with asthma tend to make a wheezing noise that sounds like a small whistle. It will be more subtle in a baby so you will have to listen carefully. Many children under the age of six experience some type of wheezing. Since their small lungs are easily irritated, almost anything can cause the airways of the lungs to constrict. This is a condition that is easily treated with medication. Your child may suffer with frequent chest colds. But if your child has not gotten better after taking antibiotics for a respiratory infection, return to the doctor as soon as possible. 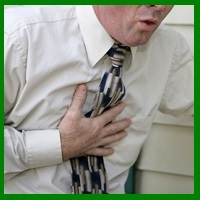 Chronic chest colds are an indication that the lungs are damaged. Your doctor can determine if your child has asthma and need a management plan. This will treat current symptoms and prevent further attacks. If your infant makes strange noises after playing or eating, it is a sign that something is wrong. Also, look for things like poor feeding and poor sleeping. Any abnormal behavior should be discussed with your doctor. Infant asthma is an illness that affects many young children during their early years. While identifying the exact cause of asthma is difficult if not impossible, it is important to realize that there are some factors that will cause certain babies to have this condition. The number one cause for infant asthma is viral infections during childhood. Viral infections, such as bronchitis or RSV (Respiratory Syncytial Virus), can cause respiratory problems in infants and make them more susceptible to asthma. When a viral infection is present, it causes more mucous production and swelling of the airways in the lungs. After this exposure, the lungs become more vulnerable to irritation and swelling. If your child frequently has colds or infections, you should closely monitor how breathing is, especially at night. Infections tend to weaken the lungs and make it more sensitive to allergens. Most experts agree that this condition is hereditary, which means an infant has a greater chance of developing asthma if his or her family member has it. Studies have shown that genetics play a role in whether or not a baby develops asthma. Therefore, parents who have asthma have a higher chance of raising a baby who has it. But this does not mean that every person with asthma will have a child with the disease. It is a matter of chance if your child will develop it. Smoke and chemicals are major irritants when it comes to the lungs. Environmental smoke or secondhand smoke contains harmful chemicals that can trigger asthma in babies. Since their lungs are small and not fully developed, smoke can damage the delicate lungs in infants. Infants who live in a household with a smoker or has a mother who smokes has a greater chance of developing severe asthma symptoms. If anyone in your home smokes, then you should consider making it a smoke-free zone. Other common triggers include mold, dust mites, and animal dander that are found throughout the typical home. Although they are impossible to completely remove, they can be contained or reduced with the right mildew and mold control products. Proper cleaning is one of the most important weapons of asthma prevention. If you cannot completely remove these allergens, you can detox them so they do not harm your child. An allergy, which is a disorder of the immune system, produces an overreaction to a substance that your baby smells, eats, or touches. This substance that causes an allergic reaction can also trigger an asthma attack. Therefore, it is important to monitor your baby carefully and see if there is anything that sets off a change in your baby’s condition. Eczema, hives, and swelling are indications of an allergic reaction Even if your child does not scratch, you can imagine the frustration that comes with asthma. Some allergens such as pollen that cause allergies are also known to trigger an asthma attack. Every asthmatic is different and trigger are based upon environment and genetics. Your pediatrician can evaluate your baby to determine what is causing the attacks. Infants who are suspected to have asthma should be closely monitored by their physicians. Since infant asthma is subtle, it cannot be truly be diagnosed in one visit. Regular doctor visits are important because they allow your pediatrician to watch closely over the symptoms. You should also record any changes in your child’s behavior. If it is asthma, your pediatrician can prescribe medication and monitor if it is working correctly. Certain drugs are not appropriate for infants. There is no quick fix for infant asthma and close monitoring is part of the asthma action plan to managing it. You may have to bring your child to the doctor’s office for multiple for a physical examination. Over time your pediatrician will develop an asthma action plan to suit your child’s needs. Even though they may not be classic symptoms, there are certain signs that you can watch for in a baby with asthma. The first signs include fussiness, lethargy, and trouble eating or sleeping. Infants in respiratory distress tend to have heavy, loud breathing and flaring nostrils. These are signs that the baby is gasping for air. You may also find rapid breathing and a weak cry. 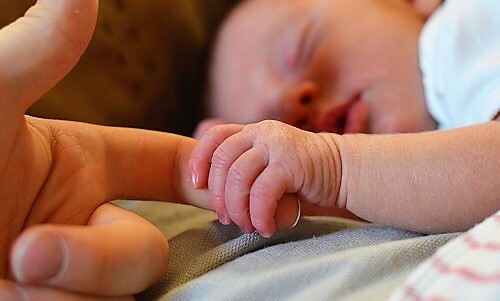 If the skin looks pale or grey or the fingernails turn blue, then the baby is in trouble and need immediate medical care. Call 911 or take your child to the emergency room. Time is very important when you are dealing with breathing problems. Parents should be alert to situations that require medical attention. If your baby is diagnosed, you should always be prepared to go to emergency room if there is trouble. Time is essential when it comes to breathing. Infant asthma does not have be hazardous to your child’s health. If you understand treatments for infant asthma and how it can affect your child’s life, you can manage even the worst symptoms. Treatments for infant asthma do not have to be dangerous. If your child suffers from this respiratory disease, you can feel safe knowing modern medications are based on years of research studies and are considered safe for babies with asthma. Asthma is a disease of the immune system and lungs, in which the immune system overreacts to allergens and affects the lungs. Some allergens such as pollen can start an allergic reaction and trigger an asthma attack. It is very important that parents are aware of this chronic respiratory illness. Although this condition may show differently in babies, there are treatment plans that can them to breathe more comfortably. The first step to treatment is a proper diagnosis. To treat this illness, your health care provider will need to correctly diagnose it. Identifying this illness is difficult because the symptoms are subtle and your baby cannot verbalize what is wrong. 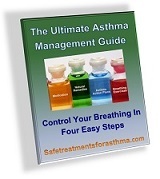 Every asthmatic is different and the trigger is based on the environment and genetics. Your pediatrician can evaluate your baby to determine what is causing the attacks. Your doctor will have to perform a physical exam and look for a family history of asthma or allergies. Medical treatment is prescribed according to the age of the infant and the severity of the symptoms. This will help you and your baby for the long term. If you have any questions or concerns, do not hesitate to call your physician. Treatments for infant asthma are almost the same as with older children. If your doctor prescribes medication for your child, he or she will discuss the dosage, usage, and possible side effects. If you may be worried about side effects of some of these medications, don’t be. They have been scientifically studied and are deemed safe for babies. Your child’s doctor will give the lowest dosage of medication to prevent future attacks. It is very important that you give medication to your baby when you first see an asthma attack. This will prevent an emergency situation. If your child has moderate to severe asthma, your doctor may prescribe nebulizers that serve as treatments at home. 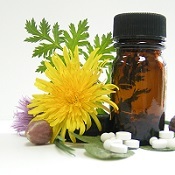 Medications are given in a liquid form or in a nebulizer treatment. They come in smaller doses and are well tolerated. A nebulizer treatment is given by a machine that creates a fine mist of medication that usually comes out of a mask. The mask is fitted over the nose and mouth of the infant. When it comes to babies, nebulizers are very flexible. Since babies can't hold a mouthpiece, you can use a face mask to send a mist of medication over the face. If you and your baby have a busy schedule, treatments can be given in many different ways. It can be done while your baby is sleeping or playing in the car seat. Nebulizer treatments usually do not take a long time to complete and relief is usually immediate. If you want quick relief from infant asthma, then PARI Baby Nebulizer is for your family. This aerosol delivery system is designed specifically for the low inspiratory flow rates of babies and young children. The PARI BABY also adapts to the needs of the patient by allowing treatments to be given in almost any position, such as lying down, sitting in a lap or stroller, or standing. As a parent, the next step is to understand your options for treatments for infant asthma. You will have to develop a care plan with your doctor that you can perform on a daily basis. After a thorough examination and diagnosis, your doctor will create a medical plan if your child has it. It will treat current symptoms and stop future attacks so that your baby can breathe comfortably. The good news is that if your child has infant asthma, you can make adjustments to help relieve symptoms. Use dust mite covers. Dust mites, which are tiny bugs that like to hide in linen, are known to aggravate asthma symptoms. So it is important remove them from crib bedding and mattresses. When your child sleeps close to dust mites, it is an invitation for trouble. Allergen bedding and dust mite covers can decrease your child’s exposure to these troublesome pests. Buy organic baby bedding. Don't let your baby go to sleep with pesticides and formaldehyde. Made from 100% pure Organic Crib sheets have a luxurious feel. Your baby will love em. All manufacturing and finishing for this natural bedding are achieved without chemical ingredients, dyes, or formaldehyde. So no chemicals to breathe in while sleeping. 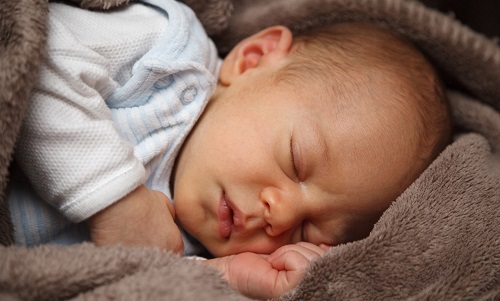 Without chemicals, there is no potential harm from toxins to your baby while sleeping. 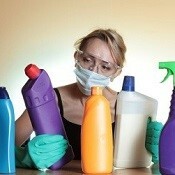 Use cleaning supplies that are hypo-allergic and odor-free. Allergy cleaning products are designed to be allergy-free and do not contain any chemicals that are known to aggravate asthma. Infants are particularly sensitive to chemicals in the home such as cleaning solutions. Hypoallergic products remove these toxin substances and yet continue to provide a clean surface. Place an air cleaner in your child’s room. The main functions of these devices are to clear away allergens and to maintain good air quality. 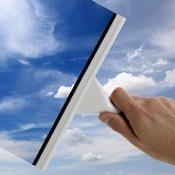 Air cleaners not only remove hidden allergens. They make a more comfortable environment for the whole family. Use a humidifier to add moisture to the air and relax the lungs. Keeping the level of humidity at a low level in your home not only helps your baby to breathe but can actually eliminate some of the allergens that will bring on an attack. While too much humidity can contribute to bacterial growth, a warm humid environment can be beneficial to your child’s health. Remove carpeting and opt for hardwood flooring. Like the bed, the tuft of the carpet can harbor a great number of pollutants that can lead to an asthma attack. Carpets are a hotspot for dust mites and dust. 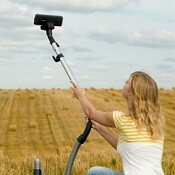 Even if you vacuum frequently, it is impossible to completely eliminate them completely. Hardwood floors provide an alternate way to quickly remove allergens. Keep furniture dust-free and vacuum rugs. Dust and smoke are known to trigger attacks and should be controlled as necessary. Dusting and vacuuming should be done on a regular basis to limit your child’s exposure to allergens. Use allergen-free toys for your child to play with. A baby tends to breathe in particles that are close to the face so it is important to have toys that won’t set off an attack. Several cleaning products are able to attract the dust and prevent them from settling on surfaces. Keep family pets outdoors or out of bedrooms. And use pet allergen control products that can remove the dander that can do harm to infants. While pets like to linger in the living room, bedroom, and playroom area, pet dander is a major trigger for infants. Whether it is the saliva or hair that is irritating, it is best to decrease the exposure to these elements. Remove any signs of mold or mildew at the first sight. Currently there are several mold and mildew products that can eliminate it from your home and prevent asthma symptoms. Several types of mold are extremely dangerous to infants. But fortunately you can remove mold and mildew with special types of cleaners that resist their growth. Choose nebulizers and kits that are meant for pediatrics. Your doctor will prescribe medications to treat asthma symptoms and to relax your child's airways and reduce swelling and constriction. The best way to administer a baby is through a pediatric nebulizer that turns it into a mist that the baby can easily breathe. The right nebulizer for an infant should allow for a face mask. This way you can give it while he or she is sleeping or sitting in a car seat. Infant asthma can be successfully managed with the right kind of treatment plan. Once your pediatrician has diagnosed asthma for your child, you can start a safe treatment plan. By using some of the following products, you can develop an asthma action plan to control the symptoms. Asthma is best known by certain symptoms like wheezing, coughing, and shortness of breath. If your infant may have one of the common symptoms, it does not necessarily mean that he or she has asthma. It is always best to take your infant to the doctor if you have any questions or concerns about infant asthma. If your child has infant asthma, the best way to prevent episodes is to avoid triggers that can bring upon attacks. 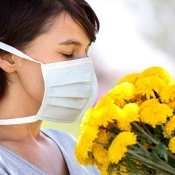 The most common triggers are infections, smoke, dust, pet dander, mold, and pollen. They tend to fill the lungs with foreign particles that an infant’s immune system may response to. Keep a list so that you can discuss it with your infant’s doctor. Prevention is a very essential part of asthma management. It provides a layer of protection so that your child does not have to suffer unnecessarily with asthma. As a parent, you have the power to shield your child from allergens that can set off asthma symptoms. Although these methods seem simple, they can help your child to breathe much easier.